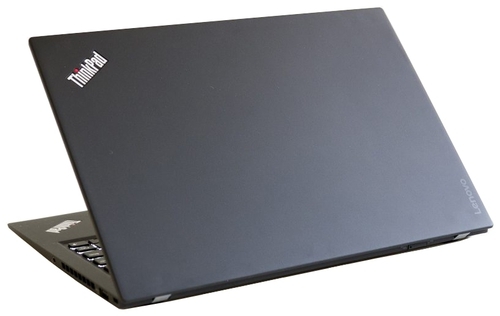 Model: Lenovo is famous with its business models. With the Carbon series Lenovo also brings lightness and aesthetics to the table as well. I do not mean other ThinkPad models are heavy but the Carbon series in its 6th generation weight only 1.1 kg and competes with Dell XPS and Asus Zenbook S series. With Intel's 8th Gen processors, it is made possible to have high performance with U series processors and this made it possible for manufacturers to expand models in the ultrabook segment. Yes, we used to have 7th gen processors, but compared to 8th gen, they were kind of obsolete. Now, with 8th gen: performance, better battery times and power management is all possible. Okay, going back to the ThinkPad X1 Carbon. I would like to start with the bad parts first. Well it is only DDR3 2133 MHz RAM, oh and they are soldered, so you do not have the chance to upgrade in the future. Other than that, compared to the competition this models comes with a 14-inch screen. It has full HDMI connection, two Thunderbolt 3 connection, an SD card reader… So everything that you will need in an office environment. Here is the thing, yes, it is pricey. It is nice to use, hold, carry, I mean everything is fine with the device. Since we are talking about a Lenovo laptop, keyboard is out of this conversation. This laptop is for people that needs mobility, period. With its business-mindset it will help you do your typing etc. You will have all the looks while this laptop is on the table. But if you want to do some multimedia stuff, well it does not have any dGPU, so you are very limited with iGPU. Therefore before picking this beauty, make sure why do you need it. Of course its price tag will make you ask this question lots of times as well. You know, luxury comes with a price. Overall, if you have the budget go for it. But if you want both mobility and multimedia performance, Dell's XPS 15 models are lightweight (1.8 kg) and comes with dGPUs. Even MSI has some SKUs that can be considered light weight as well, but they are targeted at gamers and their battery runtimes are questionable.